This SKS fender includes the tool free quick release system that made SKS famous. 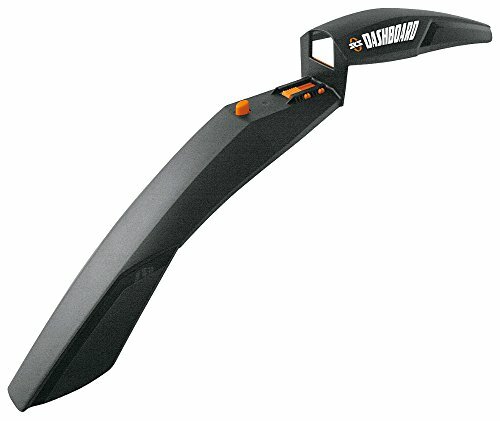 This cool stealthy fender is mounted tool free after the first ride. Stay Dry!! Quickrelease front fender system. Cone fits inside steerer tube on first use, then fender slides off an on hardware tool free. Adapter included for 1.5" tapered steerer. Aesthetically matches the Dashblade Fender.